I have been coloring my hair for many years now. I just love how hair color can easily transform a look from average to stunning or even daring (if you like bolder hair color). On a daily basis, I also use styling tools which can really take its toll on my hair. A hair cut can only cut the dry ends off, what I need is a hair product that can protect my hair from daily hair damage. Now, there's a hair product that can do just that, Cream Silk, enables us women to double up on beauty and style, and color our hair freely as well, by using Cream Silk's Daily Treatment Conditioner. It combines the intensive care of a treatment and the smoothness from a conditioner in one. For busy girls like us, I love that we have a two-in-one product that we can easily get off the shelves and use on a daily basis. To further inspire women to double up on their beauty, Cream Silk collaborated with top beauty experts to share their tips on how to take your look from good to great. As a beauty editor, Agoo Bengzon shares that her experience has forced her to dye her hair to almost every color imaginable. That's why she knows that getting your hair treated comes with the responsibility of taking care of it as well. "Double up your beauty by using products that work twice as hard, like Cream Silk Daily Treatment Conditioner". As an added beauty tip, Agoo shares that she uses a reliable liquid brow liner to create full brows to frame the face. Current Editor-In-Chief of Mega Magazine, Peewee Reyes-Isidro gave her pro advice for a fashion situation: How to double up your look when someone is wearing the same outfit? Be resourceful and revamp your clothes using accessories that you have, "Double up your beauty by complementing beautiful hair, with an accessory like a skinny scarf. Tie it around your waist and use it as a belt, or use it as an accent by wearing it like a choker." 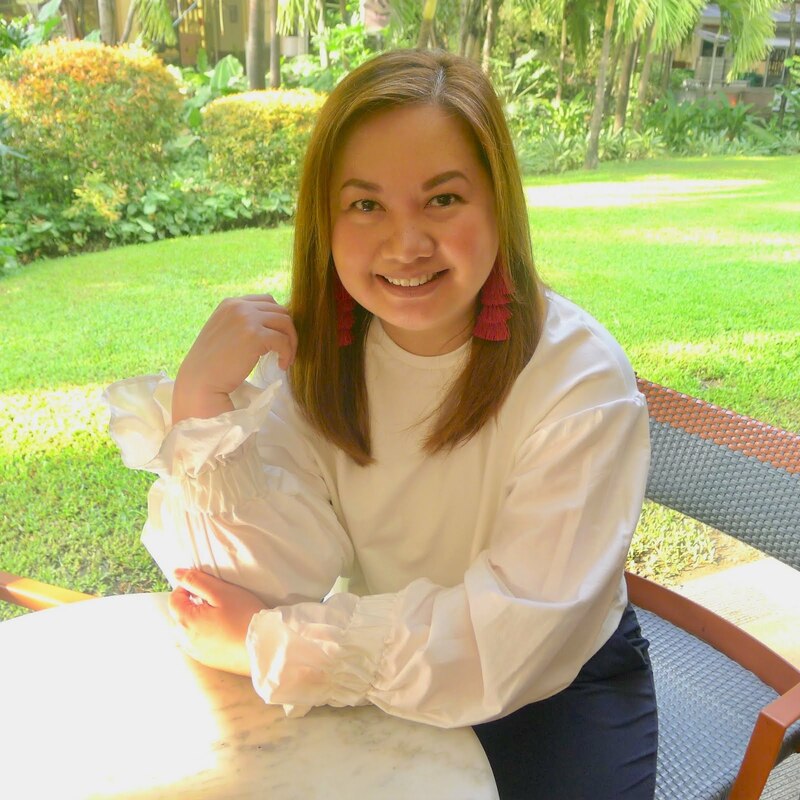 A model, mom, beauty columnist, and owner of proudly local, and popular make-up brand Happy Skin, Rissa Mananquil Trillo shares how women can double up on beauty at the office. Rissa says, "pair your long and beautiful hair with a lip and cheek mousse that works doubly hard to treat both your lips and your cheeks with a long-lasting velvety color". In this photo (left to right): Agoo Bengzon, Pewee Reyes-Isidro, Rissa Mananquil-Trillo and Sarah Meier. We were all given a beauty box so we can create our double up on beauty looks with a bottle of Cream Silk Daily Treatment Conditioner, Happy Skin, K-Palette and a Zara scarf. Completing the panel of beauty experts is Raymond Santiago, hairstylist to the stars, including Anne Curtis. Raymond shared that he witnesses how constant styling can damage the hair. "Doubling up on beauty can be as simple as letting your hair down." He shares that he recommends Cream Silk Daily Treatment Conditioner, it works twice as hard to rescue dry hair. Follow Cream Silk on Social Media: Instagram, Facebook and Twitter.